We want to help create a healthier South Carolina one pair of feet at at time! Fleet Feet Sports Columbia has gone paper-less! 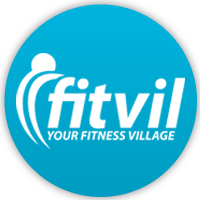 All training group, fun run and pub run registration will now be online through Fitvil. Fitvil is an online system to help you find, and rapidly register for events wherever you are. We are using this system to help you with your training, and to save from using the clipboards and paper forms that we have been using in the past. Help us, help you by registering for Fitvil before you come to the group, or fun run. 4. Register for your choice of event.